In the seconds before the bomb drops, the person with a finger on the trigger is God. The one in charge of who lives and who dies. It’s a moral decision few will ever have to deal with. But for the few that do, an immense weight rests on their shoulders. 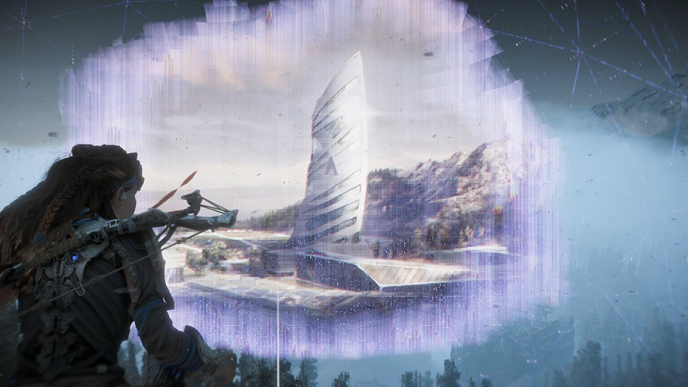 This complicated issue is the crux of Horizon Zero Dawn. If a large number of lives are sacrificed in search of future prosperity or peace, the pursuit of knowledge or understanding, then do the ends justify the means? 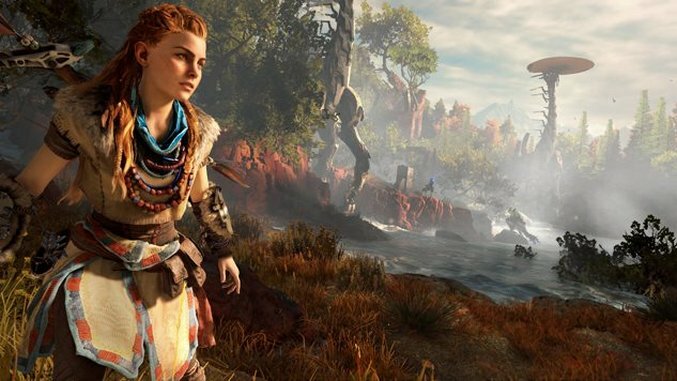 It’s a loaded question, and one that both the characters of Horizon Zero Dawn and our own world leaders have historically found themselves trying to answer. In Horizon Zero Dawn, Faro Automated Solutions, the most powerful and successful company of all time, and its CEO, Ted Faro, the “world’s best-known salesman,” create self-replicating military robots, which feed off organic matter. A glitch in the Faro’s algorithm cause the robots to replicate at an unstoppable rate, causing the world’s inevitable end. In a desperate effort to re-establish humanity, several top government officials create the “Zero Dawn” initiative, a program designed to allow humanity and the natural resources the robots need to survive to dwindle out so that Earth can rebuild itself in the future with the help of a series of complicated AI systems. The members of Zero Dawn, and it’s lead, Elisabet Sobeck, essentially take on the role of God, allowing millions of years of evolution to wilt and die, in hopes it may flourish again in the future, preserving zygotes, knowledge, literature, and animal DNA, all of which Zero Dawn will re-introduce to the planet once it and the Faro robots run out of natural resources. It’s basically a science fiction retelling of the Noah’s Ark story. But these devastating choices aren’t just a literary theme found in old novels and religious tomes. On August 6, 1945, six years into World War II, President Harry S. Truman made the decision to drop an atomic bomb on the Japanese city of Hiroshima. 70,000 people were killed instantly. On August 9, another bomb was dropped over the city of Nagasaki, killing another 40,000. 111,000 total people lost their lives in the span of three days, and many more would later die from injuries and nuclear fallout. “It is an awful responsibility that has come to us,” Truman, wrote about his decision. Japan surrendered just nine days later; the bomb was successful. The following month, World War II ended. Truman remains the only world leader to drop an atomic bomb on another country. The choices made during both Horizon Zero Dawn and WWII resemble an act of God. The decision to start a cycle of rebirth should be reserved for the omnipotent. But in both scenarios, the decision is made by flawed, imperfect human beings. Horizon Zero Dawn prompts the player to contemplate the meaning of sacrifice and the greater good. It asks, “How far are you willing to go to secure a better future for your species?” And more than that, it explores how the decision to participate in a decision that will cost millions of lives might affect someone psychologically. 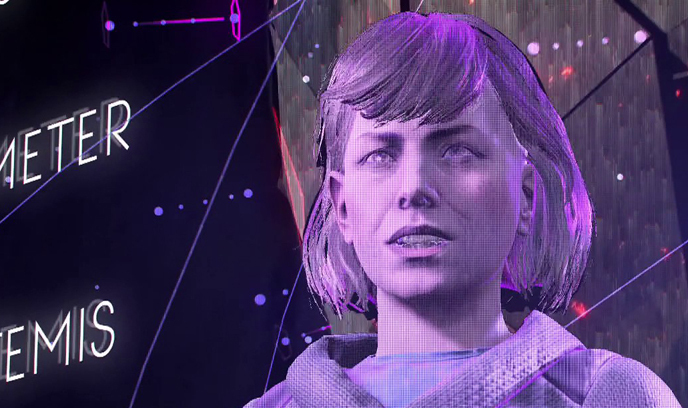 When the Zero Dawn program was conceived and initiated, its scope demanded a number of human volunteers, many of whom left behind audio logs or diary entries revealing parts of their personal story. As you listen to their thoughts, their motivations are as varied as their identities. For some, it’s a job, a last assignment to preserve mankind. “Well, it’s horrifying, isn’t it? A complete horror show, we have no right to take a best guess at this stuff. But the alternative…? Nothingness. For there to have been all this, and then… nothing,” Tom Paech, a zoologist, laments. But for others, Zero Dawn is the only path to redemption for having allowed the Faro plague to take over in the first place. The Zero Dawn workers are all wrestling with the end of the world as they know it, and their place in the end of days. They find themselves questioning the purpose of destroying a planet in an effort to rebuild it from scratch. Will Zero Dawn even work? They may never know. The answers to these questions may come from the man responsible for dropping the bomb on Hiroshima, Paul Warfield Tibbets Jr. On August 6, 1945, he was the one with the finger on the trigger — a God, deciding who lived and died. How did he internally negotiate the guilt and cognitive dissonance of that role? He was just doing he was told to do; he did his best to separate his emotions from his work. For the powers that be, assuming the role of God comes by necessity. For those hoping to provide for the future — Sobeck, Truman, Tibbets — their sacrifices are Hail Mary passes, hopes that through death life can continue, that by sacrificing the present, the future may exist. There is a certain beauty to mankind’s fight to survive. It’s a motif that comes up constantly in religious scripture, history and pop-culture: in order to protect what’s dear to us, to keep life going, humans are willing to go to some desperate places. Whether it be to provide for one child, or to provide peace for a nation, humans have strived and fought for a better life. And while sometimes the efforts to do so have been drastic — flooding an earth, sacrificing 111,000 lives, or in the case of Horizon Zero Dawn, wiping out an entire planet — the end goal always remains the same: to keep mankind moving forward, to promise a tomorrow to someone, even if it isn’t ourselves. Blake Hester is a freelance writer based out of Louisville, KY. To read more of his work check out his personal site, blakehester.rocks. He can be contacted at blakehester94[at]gmail.com.